Scott is from the Midwestern State of Wisconsin and he grew up enjoying the outdoors with his family and friends. His family relocated to Nebraska, where he attended school and started his career in Hospitality Management. In 1999 he and his family visited Colorado for the first time, and he knew right away this was going to be his new chapter in life. “I have never seen mountains before this trip and the scenery around every turn just made me want to be part of Colorado and experience more.” He transferred to Denver three months later. 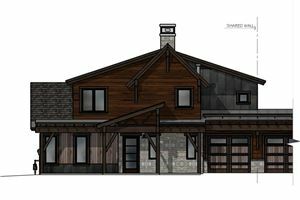 “The endless mountain bike trails, the smell of the pines next to our favorite fishing ponds and the snowy evenings that make for extreme powder days on the mountain were all reasons to purchase our first mountain home.” This was the lifestyle they were looking for all along and they made the move to Breckenridge and later purchased in Fairplay. “I have learned it’s the people here that make this community very special. These new friends I have made, I call my family. Everywhere you go, you run into people that are from the High County or want to live here. My passion is to show you the hidden treasures and how you can live on vacation too. "Scott was the realtor hired by the sellers for a property that we purchased in May 2016. Since we live out of state, and acquired our mortgage loan from our local lender, there were several challenges that required unique resolutions. Scott was clearly open to suggestions and did everything within his power to make sure the sale was successful. He also served at the broker for both the sellers and buyers and we feel that he was extremely careful to be fair to both sides. We recommend Scott if you want to find an attentive realtor that takes the time to listen to your needs and find solutions to your challenges. Thank-you Scott. "